Rate this project José Antonio Calvo has announced the release of Zentyal 3.3, an updated version of the project's Ubuntu-based distribution for small business servers: "The Zentyal development team proudly announces the release of Zentyal Server 3.3, a new version of the Linux alternative to Windows Small Business Server and Microsoft Exchange Server. The most significant benefit it introduces is the option to configure Zentyal as a native Microsoft Exchange replacement. Thanks to the OpenChange integration, it is possible to configure Zentyal Server as an on-premise Microsoft Exchange Server replacement with only two clicks and assign users the most common Microsoft Exchange services just as easily. Users can access these services through a web interface, or continue to use Microsoft Outlook clients as usual without having to install any additional software or plug-in on their computers." Read the full press release for more details and a brief feature list. Download from SourceForge: zentyal-3.3-amd64.iso (651MB, MD5). José Antonio Calvo has announced the release of Zentyal 3.2, an Ubuntu-based distribution designed for small business servers: "The Zentyal development team is proud to announce the release of Zentyal 3.2, a major new release of the Zentyal Linux small business server. Zentyal Server is an open-source alternative to Windows Small Business Server, including a native replacement to Active Directory. Highlights: new base distribution - Ubuntu 12.04.03 featuring a new Linux 3.8 kernel and providing updates for all the packages and services managed by Zentyal; unified style and usability across the GUI featuring drag-and-drop support to move table rows, single-click support to enable modules and their dependencies; integration of the latest Samba 4.1 release; new mode that allows to authenticate against an external Active Directory server...." Read the official press release and check out the more technical release notes for further details. Download: zentyal-3.2-amd64.iso (545MB, MD5). José Antonio Calvo has announced the availability of the first release candidate for Zentyal 3.2, an Ubuntu-based server distribution designed for small and medium businesses - now also extensible with specialist modules: "The Zentyal development team is proud to announce that the first Zentyal Server 3.2 release candidate (Zentyal 3.2-rc1) is now available for download. The next stable Zentyal Server version, Zentyal 3.2, will be released on the 19th of September. Zentyal 3.2-rc1 comes with all the Zentyal Server 3.2 features and from now on, all the focus will be on bug fixing, polishing details and working on migration paths from Zentyal Server 3.0 to 3.2. 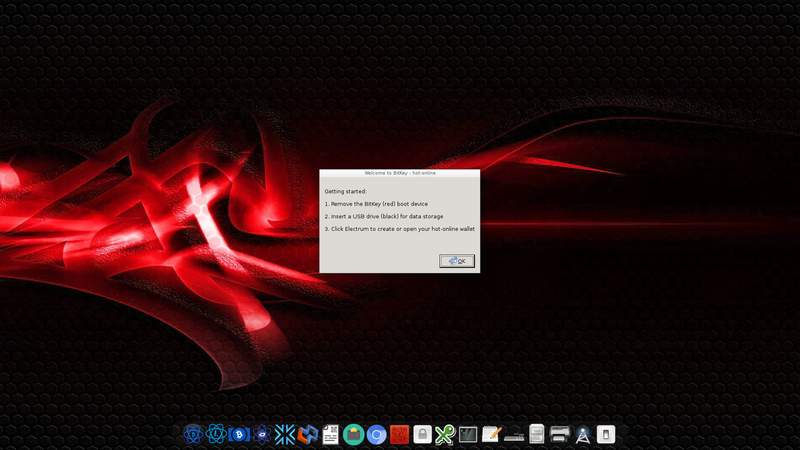 This version includes all the bug fixes done since the last beta release together with the following improvements: new base distribution: Ubuntu 12.04.03 (featuring a new Linux 3.8 kernel); unified style and usability across the GUI." Read the rest of the release announcement. Download: zentyal-3.2-rc1-amd64.iso (534MB, MD5). José Antonio Calvo has announced the availability of the second and final beta version of the upcoming Zentyal 3.2 stable release, a full-featured Linux server distribution for small and medium businesses: "Zentyal 3.1-2 is a development version and will become Zentyal 3.2 (next stable release) in September 2013. Until then we are doing bug-fixing and code polishing so Zentyal users can help testing new features and improvements. Regarding the changes since the last 3.1-1 release, we want to highlight the following: Completely new Users and Computers interface based on a Tree view, including support for multiple Organizational Units for some of the modules (Samba, Proxy, Mail, Zarafa); Initial GPO support for login/logout scripts (to be extended in next releases! ); General styles and usability improvement (including icons! ); Integration of the new Samba 4.1 RC1." Check the full release announcement. Download: zentyal-3.1-2-amd64.iso (668MB, MD5). José Antonio Calvo has announced the availability of the first development build of the upcoming Zentyal 3.2 stable release, a Linux distribution for small business servers. Like the project's 3.0 release, the new version is still based on Ubuntu's latest long-term support (LTS) release. From the release announcement: "We're glad to announce the availability of the first Zentyal 3.1 packages and installer. Zentyal 3.1 is a development version and it will become Zentyal 3.2 (next stable release) in September 2013. Until then we are going to frequently release new versions so you can help us testing the new features and improvements. The highlights of this first beta are: New IPS module; L2TP support in the IPsec module; faster Zentyal administration interface; new headless (remote administration only) installation in the expert mode; faster boot due to better management of daemons." Download: zentyal-3.1-amd64.iso (651MB, MD5). José Antonio Calvo has announced the release of Zentyal 3.0-1, an updated build of the project's server distribution based on Ubuntu: "We are glad to let you know that a new Zentyal 3.0-1 installer is now available. This installer includes a new compilation of packages with all the bug fixes and Ubuntu system updates since the release of the first 3.0 installer. Moreover, we would like to highlight the following: this installer already includes the final Samba 4.0.0 package; it comes with improved UTF-8 support - this is specially useful for those who are not using Zentyal in English, but please note that if you are already experiencing issues with UTF-8, upgrading may not be enough and probably you need to re-install the server in order to fix them; this installer also allows to introduce your Zentyal account credentials from the beginning of the installation to automatically register your server." See the release announcement for more information and upgrade instructions. Download: zentyal-3.0-1-i386.iso (628MB, MD5), zentyal-3.0-1-amd64.iso (641MB, MD5). José Antonio Calvo has announced the release of Zentyal 3.0, a major new version of the project's Ubuntu-based distribution for small business servers: "The Zentyal development team proudly presents Zentyal 3.0, a new stable version of the Linux small business server. This version introduces significant new features. Highlights: new distribution base - Ubuntu 12.04, providing new versions of all the packages and services managed by Zentyal; improved performance - there is now a global cache to speed up all the requests to the Redis configuration backend; improved reliability - new locking and transactions systems have been developed to avoid any risk of data incoherence or corruptions; Samba 4 integration - a full replacement of the Windows Server Active Directory, which allows Zentyal to join as additional controller of an existing AD domain." Read the detailed release notes for more information and upgrade notes. Download: zentyal-3.0-i386.iso (558MB, MD5), Download: zentyal-3.0-amd64.iso (572MB, MD5). Heidi Vilppola has announced the availability of the second and final release candidate for Zentyal 3.0, an Ubuntu-based server distribution: "The Zentyal development team is glad to announce that the second release candidate of Zentyal 3.0 is now available for download and testing. This version is based on the new Ubuntu 12.04.1 installer and besides all the bug fixing done since the first release candidate, it features a new Samba 4.0 beta8 and lots of additional improvements and polishing. The release of the Zentyal 3.0 is almost here, so your help in finding bugs now is more important than ever to make Zentyal 3.0 the best release in history. So, don't forget to report any bugs you come up with, either through the bug tracker or the official Zentyal forum." See the release announcement to find out how to get a free Zentyal T-shirt. Download: zentyal-3.0-rc2-i386.iso (545MB, MD5), zentyal-3.0-rc2-amd64.iso (559MB, MD5). José Antonio Calvo has announced the availability of the first release candidate for Zentyal 3.0, an Ubuntu-based server distribution for small and medium-sized businesses: "The Zentyal development team is proud to announce that you can now download the Zentyal 3.0-rc1 installer for testing. This is the first release candidate for the 3.0 stable series - the next stable Zentyal server version, Zentyal 3.0, will be published on the 13th of September. This version comes already with all the Zentyal 3.0 features. From now on, all the focus will be on bug fixing, polishing details and also preparing the migration process from 2.2 to 3.0. Changes: brand new look & feel of the user interface; new Samba module; improvements in Zarafa...." See the release announcement for further information. Download: zentyal-3.0-rc1-i386.iso (635MB, MD5), zentyal-3.0-rc1-amd64.iso (662MB, MD5). José Antonio Calvo today announced a beta release of Zentyal 2.3, a small business server for managing various network services: "We are glad to let you know that Zentyal has already entered the feature freeze period for 3.0, meaning that from now on we will be focused on polishing and bugfixing until September. Some of the highlights included in this new version are: first version of the brand new HTTP proxy module, with a much simpler interface and improvements like now it is possible to apply different filter profiles on different time periods; new features on Samba4, allowing to set administrator account or edit general settings without having to disable the module; several improvements in Firewall, OpenVPN and Captive Portal modules, featuring support for SNAT rules, MAC filtering and Captive Portal objects and services exceptions...." Follow the full release announcement. Download: zentyal-2.3-2-i386.iso (614MB, MD5), zentyal-2.3-2-amd64.iso (625MB, MD5). José Antonio Calvo has announced the release of Zentyal 2.3, an Ubuntu-based distribution for servers: "We're glad to announce the availability of the first Zentyal 2.3 installer, featuring Samba 4. Zentyal 2.3 is a development version based on Ubuntu Server 12.04 beta and it will become Zentyal 3.0 (the next stable release) in September 2012. Until then we are going to frequently release new versions so you can help us testing the new features and improvements. The most relevant change since the release of the first Zentyal 2.3 packages is the Samba 4 integration. Note that this is the first alpha version and some features are still missing, but we wanted to make it available for testing as soon as possible. Don't hesitate to report any problems you encounter! In general, please remember that Zentyal 2.3 is a beta version and it is not intended for production environments." Here is the complete release announcement. Download: zentyal-2.3-i386.iso (573MB, MD5), zentyal-2.3-amd64.iso (537MB, MD5). José Antonio Calvo has announced the availability of an updated release of Zentyal 2.2, an easy-to-use server distribution designed for managing network services, based on Ubuntu: "The Zentyal development team has published a new compilation of packages including all the bug fixes and system updates from Ubuntu since the release of the first 2.2 installer. There are also two changes in this new installer: the 64-bit edition now uses the server kernel by default instead of the generic one; adds the new secondary packages repository, allowing us to release important bug fixes without waiting until Launchpad builds and publishes them." Read the rest of the release announcement to learn more about the new repository and how to set it up. Download: zentyal-2.2-1-i386.iso (615MB, MD5), zentyal-2.2-1-amd64.iso (596MB, MD5). José Antonio Calvo has announced the release of Zentyal 2.2, an Ubuntu-based distribution for small servers: "Your favorite development team proudly presents Zentyal 2.2. Zentyal is a Linux small business server that can act as a gateway, unified threat manager, office server, infrastructure manager, unified communications server or a combination of them. Let us summarize some of the new features of this new version. Improved performance - thanks to the configuration backend rewrite and other optimizations, the responsiveness of the interface and the speed of other processes have greatly improved. Better installation process - in addition to the general performance improvements that also affect the installation speed, the package selection interface has been simplified." Read the detailed release announcement for more information. Download: zentyal-2.2-i386.iso (611MB, MD5), zentyal-2.2-amd64.iso (561MB, MD5). José Antonio Calvo has announced the availability of the second release candidate for Zentyal 2.2, an Ubuntu-based server distribution built for small and medium-size enterprises: "The Zentyal development team is glad to announce the availability of the 2.2-rc2 installer. This is the second release candidate for the 2.2 stable series. This version includes all the bug fixes done since the release of the RC1 and, in addition, the 'Recover from a disaster' menu is now back on the installer (it had disappeared during the beta period). Moreover, this release comes with a surprise - it includes experimental USB support, so users without a CD drive should be able to burn the ISO image on a stick using Ubuntu USB Creator or any other similar tool. The release of the Zentyal 2.2 is approaching very fast (3rd week of September), so your help in finding bugs now is crucial to have a great success with this release." The release announcement. Download: zentyal-2.2-rc2-i386.iso (574MB, MD5), zentyal-2.2-rc2-amd64.iso (524MB, MD5). José Antonio Calvo has announced the availability of the first release candidate for Zentyal 2.2, an Ubuntu-based small server distribution: "The Zentyal development team is glad to announce the availability of the 2.2-rc1 installer. This is the first release candidate for the 2.2 stable series. As the beta releases have ended, it means that this version comes already with all the Zentyal 2.2 features. From now on, all the focus will be on bug fixing, polishing details and also preparing an easy migration process from 2.0 to 2.2. Regarding the changes since the last 2.1-2 release, we want to highlight the following: based on the fresh new Ubuntu 10.04.3 LTS; administrator audit logging; Zarafa 7 integration; usability and performance improvements; many improvements in the VM management module." Read the rest of the release announcement for information about bug reporting and known issues. Download: zentyal-2.2-rc1-i386.iso (547MB, MD5), zentyal-2.2-rc1-amd64.iso (510MB, MD5). José Antonio Calvo has announced the availability of a new beta release of Zentyal 2.2, a server distribution for small and medium-sized businesses based on Ubuntu: "We're glad to announce the availability of a new beta installer, Zentyal 2.1-2. Please note that this is the last beta version: from July to September we'll publish a series of release candidate versions and in September the next stable release (Zentyal 2.2), will see daylight. This installer contains all the improvements and bug fixes done since the release of the previous beta installer (2.1-1), but it also comes with the first previews of three fully new modules: PPTP, Captive Portal and VM Management. Please note that these modules are still under development and they may be in alpha status." Here is the release announcement with an important note about the distribution's VM Management module. Download: zentyal-2.1-2-i386.iso (579MB, MD5), zentyal-2.1-2-amd64.iso (541MB, MD5). José Antonio Calvo has announced the availability of a new beta release of Zentyal 2.2, an Ubuntu-based server distribution for small and medium-sized businesses: "The development team of Zentyal, the Linux small business server previously know as eBox Platform, is glad to announce that the second Zentyal 2.1 beta installer (Zentyal 2.1-1) is now available for download. This version includes all the current development improvements for Zentyal 2.2 and the first beta of the new IPsec module. Zentyal 2.1 is a development version based on Ubuntu 10.04.2 and it will become Zentyal 2.2, next stable release, in September 2011. Until then, the Zentyal Development Team will frequently release new beta versions with new features and improvements that you can help testing." Please refer to the release announcement for further details. Download the installation CD images from here: zentyal-2.1-1-i386.iso (565MB, MD5), zentyal-2.1-1-amd64.iso (527MB, MD5). José Antonio Calvo has announced the availability of Zentyal 2.1, an Ubuntu-based server distribution for small and medium-size businesses: "We are glad to announce the availability of the first packages and installer CD images for Zentyal 2.1. Zentyal 2.1 is a development version based on Ubuntu 10.04.2 and it will become Zentyal 2.2 (next stable release) in September). Until then we are going to frequently release new versions so you can help us testing the new features and improvements. These are the most relevant changes included in this first version: cleaning and refactoring in code and packaging; new i18n system; use of Redis 2.0 to improve performance in the configuration back-end; removed obsolete migrations to reduce installation time...." See the release announcement and changelog for full details. Download: zentyal-2.1-i386.iso (517MB, MD5), zentyal-2.1-amd64.iso (476MB, MD5). Heidi Vilppola has announced the release of Zentyal 2.0-3, an updated version of the Ubuntu-based server distribution for small and medium-sized companies: "The development team of Zentyal, the Linux small business server previously known as eBox Platform, is glad to announce the availability of Zentyal 2.0-3 installer. This is a new compilation of all the latest Zentyal packages as well as the last system updates from Ubuntu. Please note that this installer comes with a new Zentyal Cloud-based feature - you can see a new 'Disaster Recovery' entry in the installer menu. This option allows users with a free Basic Server subscription to automatically install the modules from a previously stored configuration backup. Another mayor change in the installer is the switch from slim to LXDM as display manager." Here is the full release announcement. Download: zentyal-2.0-3-i386.iso (517MB, MD5), zentyal-2.0-3-amd64.iso (472MB, MD5). Zentyal is a new name for eBox Platform, an Ubuntu-based distribution for servers. Version 2.0, announced today, is the project's first release under the new name: "Your favorite development team proudly presents Zentyal 2.0. Zentyal is a Linux small business server that can act as a gateway, unified threat manager, office server, infrastructure manager, unified communications server or a combination of them. The development of Zentyal started in 2004 and currently it is an enterprise-level Linux server solution that integrates over 30 open source network management tools in one single technology. Highlights: new distribution base - Ubuntu 10.04; improved software management: the software management module has been completely revamped, with usability and visual improvements; friendlier graphical environment...." Read the release announcement and release notes for a full list of new features. Download: zentyal-2.0-i386.iso (460MB, MD5). eBox Platform is an Ubuntu-based Linux server for small business. While its 2.0 release will be delayed, a development update was unleashed soon after its 1.5 release: "You can now download a new installer CD for the eBox Platform 1.5 series. Please note that eBox Platform 1.5-1 is a development version based on Ubuntu 10.04 and it will become eBox Platform 2.0 (next stable release) after a stabilization period. As to the improvements, the most relevant changes on this new 1.5-1 installer are focused on improving the performance. We believe that this is an important change and we would be glad to have your feedback to check that everything is right. In addition, the 1.5-1 installer includes new versions of the following modules: Users, DHCP, Backup, Groupware, Firewall, IDS, Monitor, NTP, Software Management, HTTP Proxy and Webserver." See the release announcement for more information. Download: ebox_installer-1.5-1-i386.iso (618MB, MD5). eBox Platform 1.5, an Ubuntu-based, easy-to-use platform to manage various network services, has been released: "eBox Platform development team is glad to announce that the first installer CD for eBox Platform 1.5 is now available for download. Please note that eBox Platform 1.5 is a development version based on Ubuntu 10.04 and it will become eBox Platform 2.0 (next stable release of the Linux small business server) after a stabilization period. The development of eBox Platform 2.0 is now finished and from now on all the attention will be focused on testing, bugfixing and optimizing the software. These are the most relevant changes since eBox Platform 1.4 release: Improved software management; Autoconfiguration wizards integrated in the administration interface; New mode for network interfaces; Improved logs performance; Webserver with HTTPS support; New FTP module." See the release announcement for more information. Download: ebox_installer-1.5-i386.iso (631MB, MD5). José Antonio Calvo has announced the release of eBox Platform 1.4-2, an Ubuntu-based server distribution for small and medium-size businesses: "We've done a lot of bug-fixing and small improvements since the last 1.4-1 release. All those enhancements have now been included in a new installer. Here is a summary of the most relevant changes: DNS - added support for internal networks allowed to recourse the caching server; Ebackup - improvements on frequency and keep options, added backup and restore of logs, added restore configuration from backup action; Egroupware - now works properly in a master-slave scenario; firewall - new firewall table containing rules added by eBox services; network - failover test are more robust now; Samba - allow guest shares; Squid - new bandwidth throttling support with delay pools...." See the release announcement for a complete list of improvements. Download: ebox_installer-1.4-2.iso (631MB, MD5). José Antonio Calvo FernÃ¡ndez has announced the release of eBox Platform 1.4-1, an Ubuntu-based server distribution for small and medium-size businesses: "eBox 1.4-1 installer released. I just wanted to let you know that we've done a lot of bug fixing and small improvements since the release of the first 1.4 release. Those all enhancements have now been included on a new installer. The installer itself contains some bug fixes and improvements, this is the changelog: X11 UI tweaks; added console-cyrillic package; install l7-protocols if traffic shaping is selected in advanced mode; quote passwords to avoid problems with strange characters; do not allow to enter 'root' or any other existing system user as admin user to avoid conflicts. Note that this installer includes also the fixes and improvements from the 1.4-proposed repository." Here is the full release announcement. Download: ebox_installer-1.4-1.iso (622MB, MD5). eBox Technologies has announced the release of eBox Platform 1.4, an Ubuntu-based server distribution that offers easy and efficient computer network administration for small and medium-size businesses: "eBox Technologies is proud to announce the general availability of eBox Platform 1.4. Besides incorporating a range of new features and improvements, the eBox Platform 1.4 release features SaaS options, such as remote backup and low-cost VoIP calls to mobile phones and land-lines. Two of the most important new features of eBox Platform 1.4 include support for master-slave LDAP servers and Microsoft Windows Active Directory synchronization. Moreover, new features include new webmail module, PPPoE support, Multi-WAN support for DHCP and PPPoE configured gateways, new Samba (3.4.5) version, dynamic DNS updates via DHCP and new RADIUS module." Read the full press release for more details. Download: ebox_installer-1.4.iso (600MB, MD5).